Is it about 4 weeks to your marriage anniversary? Are you cringing at the thought of your husband making a dig at that extra flab you have put on? But not only do you feel flabby, even your once smooth olive-toned skin looks rough and dry! When you go shopping for a swimsuit, do you pick the most conservatively designed one in the shop? One that will hide most of the bulges you are so conscious of? Hw about a 4-week program to get trim and fit so you can get into that gorgeous electric blue affair with the diaphanous sarong your heart had longed for in the shopping arcade? Or that beautiful designer ivory lace sari you lusted for but left reluctantly because only an hour-glass figure could do justice to it and not the barrel you feel you have a closer resemblance to – wouldn’t you like to wear that with élan? Just 4 weeks of conscious eating, exercising and looking after your skin can bring about a dramatic change in your looks and morale if you are strong in your resolve. Because for just 4 weeks to make any difference, you have to wear sincerity on your sleeve from day one. And wear loose-fitting cotton clothes with long sleeves rather than sleeveless ones which may be easy to wear in summer and may even look more fetching, but which expose the delicate skin of your upper and underarms to the strong, harmful rays of the Sun. (Sunscreen alone is not a foolproof way of protecting your skin from UV rays of the Sun). In summer, synthetic fibre clothes do not allow the sweat to dry up and often cause prickly heat rashes. Be it summer or winter, protect the delicate skin around your eyes with dark glasses. They say that a woman is in her prime in her 30s and yet it is around that time that several tell-tale signs of aging start to appear. Like the building up of cellulite on the thighs, circulation, or insufficient exercise resulting from a sedentary lifestyle. Also read Massaging your legs. Cutting out junk food from the diet lessens extra demands on the excretory organs, which can then cope more efficiently with the function of flushing the body free of toxins. This is vital for preventing the formation of cellulite. Drinking at least 8 glasses of water every day helps. Substitute tea or coffee with a hot glass of water garnished with a lime slice which cleanses the system thoroughly. Munch on parsley as often as you can. You can easily grow it at home, on your kitchen shelf. It is a proven diuretic, rich in vitamin C. Add liberally to salads and soups. This does not mean that one should eat like a bird because it is important to eat plenty of fruit and vegetable and nutritious, healthy food. But when you do crave for snacks, reach out for pumpkin or sunflower seeds. Raw salads, topped with a light dressing and steamed veggies are not just great for your figure, but are also good for your skin. Fish and chicken twice a week is permitted but red meat should be cut from your diet altogether. Wholemeal bread and pasta are great for the stomach but avoid generous helpings. Olive oil is light and not high in fatty acids, which makes it a great medium for cooking and as a salad dressing. Are you a compulsive drinker of tea, coffee, hot chocolate or fizzy drinks to beat boredom? Buy a pack of jasmine tea from any store that stocks oriental goodies or any herbal tea and use it as a substitute. You’ll probably get addicted to the light, scented flavor or herbal tea which is also of medicinal value and is often recommended for specific problems. Phase out alcohol completely. Do not follow the fad of gorging on tinned packs of cooked food. Your diet is better off without the preservative and extra salt and sugar found in such foods. Whole grains such as brown rice, millet, wheat, oat bran, pulses and beans should be definitely preferred to processed food. Eggs and dairy products, contrary to popular perceptions, should be taken in moderation. Keep a diary of what you eat, what exercise you take and especially what tempting dishes you have given to. When you have not been able to control the urge for that banana split, put it down in red in your diary. Not only will you have a rough idea of how many calories you have consumed, but also how many you have burned. Running, jogging, skipping and brisk walking are excellent exercises and should be done as often as possible. 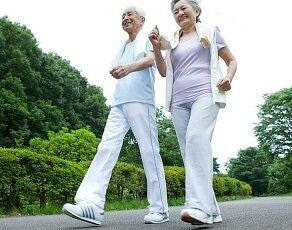 Walking: Walking is the easiest form of exercise and can be the first wokout to start with. Add fun in the form of a clip-on pedometer but also invest in a good pair of walking shoes. It is important for your ankles to have proper support while walking. For those who walk with friends chatting about the weather, sales , clothes and other things, calculating the distance they have walked and the corresponding number of calories they have burned, is definite motivation for taking exercise more seriously. But a brisk half an hour walk on your very first day will probably fatigue you enough to keep you away from exercise for the rest of the week. 10 minutes to start with on the first 3 days and building up 20 minutes by the end of the week , will condition your body for longer stints. As you build up more stamina, the ideal speed of one mile in 12-15 minutes, should not be too difficult to attain by the end of the fourth week. Walk for at least 30 minutes at that speed to realize the benefits of a serious workout. Read more on the benefits of walking. Skipping: Among all the different exercises, nothing surpasses rope-skipping, in producing the greatest fitness in the shortest time. It is especially effective in trimming the legs, thighs and hips and it also exercises the upper body. Start with a few skips- about 50-100 – and increase them, day by day. While skipping, jump just high enough – about an inch – for the rope to pass under your feet. Moreover, skip on a thick carpet of a lawn; never on a hard surface. Stretching Exercises: Some gentle stretches will loosen up all the stiff muscles before you embark upon your 4-week mission. A 10-minute exercise routine on alternate days is enough for toning up all the muscles in your body. Consult a doctor before you do any of these exercises if you have a back problem or any other ailment. Bust and Chest: Sporty spice may want to get hold of a pair of dumb-bells but even 2 bottles of water are effective substitutes. OR you could do without the weights all together. Juts hold the arms at right angles and bring them together to meet at the elbows. Repeat twice for a count of 20. Shoulders: Stand with your arms by your side with the elbows bent but not stiff. Lift both arms up to bring parallel to the shoulders. Repeat twice for a count of 20. While doing the standing up exercises, be careful of your posture. Keep your back straight, knees slightly bent but not locked and shoulders pulled back straight. Abdomen: Lie flat on the floor and bend your knees. Keep your lower back pressed down on the floor and your hands under your head, arms parallel to your shoulders Hold your head at an angle and raise your shoulder-blades off the floor. Repeat twice for a count of 20. Lower abdomen: Lie flat on the floor. Raise your legs slowly and bend your knees slightly as you cross your ankles. Keep your lower back pressed into the floor. Lift your legs, ankles crossed, into the air, lifting your buttocks. Buttocks: Get down on all fours. Lift your left leg behind you, knee slightly bent till you feel a squeeze in your buttocks. Imagine the movement to be a result of string tied to your ankle being pulled from the above. Don’t raise the leg higher than you can comfortably. Repeat twice for a count of 20. Repeat with the right leg. Outer thigh: Lie on your right with the top half of your body raised and with the right arm supporting your head. Keep your left hand as high as you can comfortably. Repeat twice for a count of 20. Repeat on the other side with your right leg. Inner thigh: Lie in the same position as for the outer thigh. Bend your left leg and place your left foot behind the right knee. Lift the right leg up and down. Repeat twice for a count of 20. Repeat the entire process on the other side for the left leg. Lastly, shaping-up does not do any good unless you plan to stay in shape. And it means exercising, from now on, regularly. Four weeks are all it takes to make a difference even to your skin. So pay attention to it even as you take care of those muscles. Routines are what put some people off beauty programs, while they prove addictive for others. During weekends, you can get yourself pampered at an ambient spa for a ravishing skin or if you prefer it the frugal way go in for a simple homemade beauty routine. The natural or herbal way of pampering your skin, a simple wash and a cleansing, toning and moisturizing, followed slavishly will reward your skin in just 4 weeks. We often spend a lot of time wondering about the pros and cons of launching into a health fitness program or joining aerobics classes. But when simple exercise and regulation of one’s diet are all that it takes, there is nothing, except laziness and disinclination that can stop anyone who wants to look and feel better in just 4 weeks. If you are serious about burning fat and gaining muscle then you must have a quality dumbbell set. The more muscle mass you have the more calories you burn... even at rest. Dumbbell sets are extremely versatile and one of the best investments you can make. Snacks don’t have to be sweet. Not only does sugar push your blood results too high and make you feel drowsy, but it leaves you feeling hungry again when the rush subsides. Oh, and it rots your teeth too. So choose a mix of roasted seeds, nuts, maize and rice crackers for an almost carb-free alternative. The most important thing is to exercise at least once a day. A brisk walk in the morning or evening is the perfect way to keep those pounds off. Even if you do not have enough time you should try to do a little exercise at home on a daily basis, just to help you burn that extra fat. 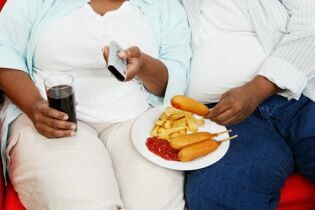 Very often, stress causes weight gain; please don’t eat just because food is a stress buster. As long as you have abstemious eating habits and give your body the necessary amount of physical exercise it requires, you are sure to lose weight and keep it off. Too much rich food and too little exercise are usually the root causes of obesity.you need to do is to examine your regular intake of food.Eat salads with a simple dressing. Butter, cheese, oil and sugar should be taken in moderation. Don't eat too little, since this will only mean that you will feel hungry soon after lunch or dinner. Eat slowly and never, never eat in front of the television. Oblique: SideBends - with a 3 to 5 lb weight in each hand, stand with feet shoulder width apart and and bending to the SIDE (not front) at the waist reach for your left ankle with your left hand and curl your right hand in towards your armpit. Repeat to the right. thats 1. do 3 sets of 15. Abs: Leg lifts. lie on your back, raise your legs to 12" off the ground, lower to 3" slowly, hold for a beat, repeat. Lunge - standing with feet shoulder width apart, take a big step forward with right foot while lowering until your left knee is just off the ground (don't go all the way until you touch). Come back up and bring right foot back in line with left. Repeat on with left foot. Thats 1. Reverse lunge - same as above, but take a big step BACK instead of forward. Jumping squat. In this one, make sure you don't lock up your knees! Hop up and down twice (again, making SURE to bend at the knees!) and on the 3rd hop, go straight into a squat. Keep back straight, and arms curled, you should come down with feet slightly wider than shoulder width and knees bent as if to sit in a chair. hold for a beat, stand back up straight. Thats 1. Go as low as you can. Add weights if you wish.